Move aside Mystic Meg, there’s a new dame in town, and her name is Madame Destiny! Have you ever spent time around fortune-tellers and things of the like? No, well, now you have no excuses courtesy of Madame Destiny from developer Pragmatic Play! 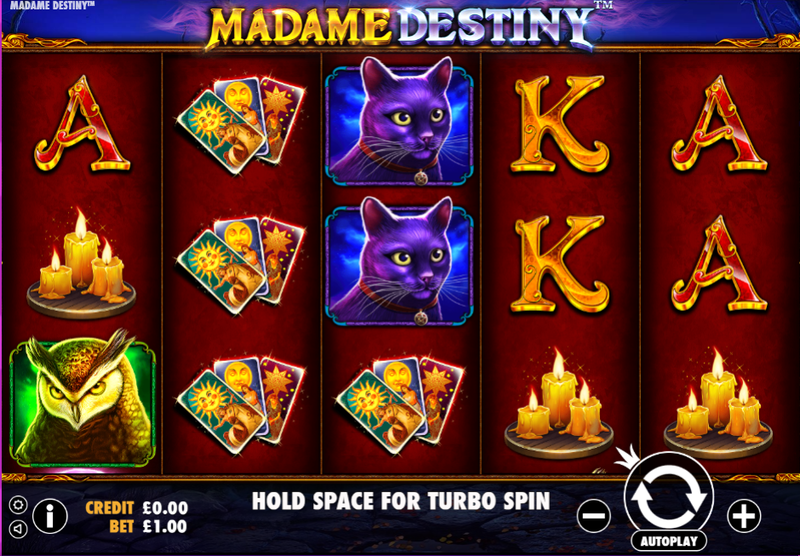 Madame Destiny is an online slot that adds just a touch of the macabre to your slot gaming experiences. This 5 reel by 10 pay-line slot is a rather simple one to behold, which is partly why it is one of the more popular games going right now! Players looking to capitalise on slots with high RTP percentages will find the 95% found in Madame Destiny to be quite rewarding indeed. Be sure to check out the rest of the review for additional information on this highly elusive new online slot! Check out our exciting gambling promotions today! 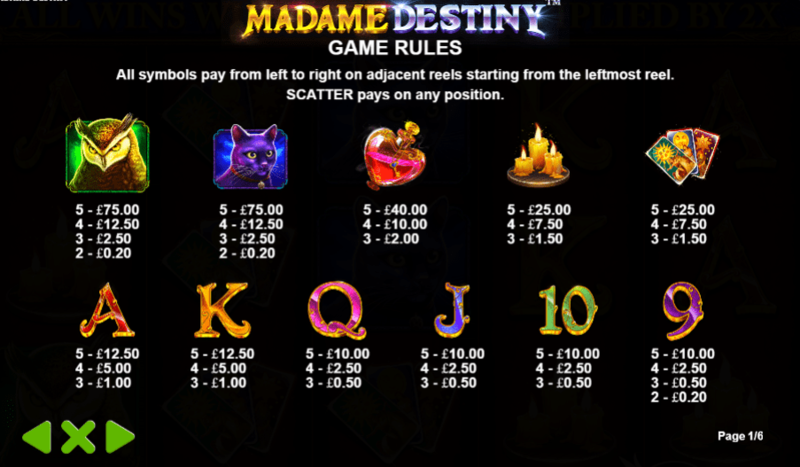 Wild: The wild symbol in Madame Destiny will substitute for all other symbols bar the scatter. The more wilds you match the more scatters you’ll add to the fray. Wilds come with quite a nice bonus too that will make earning big scores quite simple! Free Spins: No doubt a highlight in any slots that includes them, the free spins is where you’ll be able to make the most money possible! Free spins come with multipliers that will throw your scores well up the table! Click here to discover more about the fun slot games available at SlotsBaby. Madame Destiny is a highly enjoyable online slot experience, one that we will continue to play into the future for that reason alone. If you are strapped for slots to play and want to play something rewarding as well as fun, then look no further than Madame Destiny, she has everything you could ever need and want and more!